Montenegro has only been an independent country since 2006. 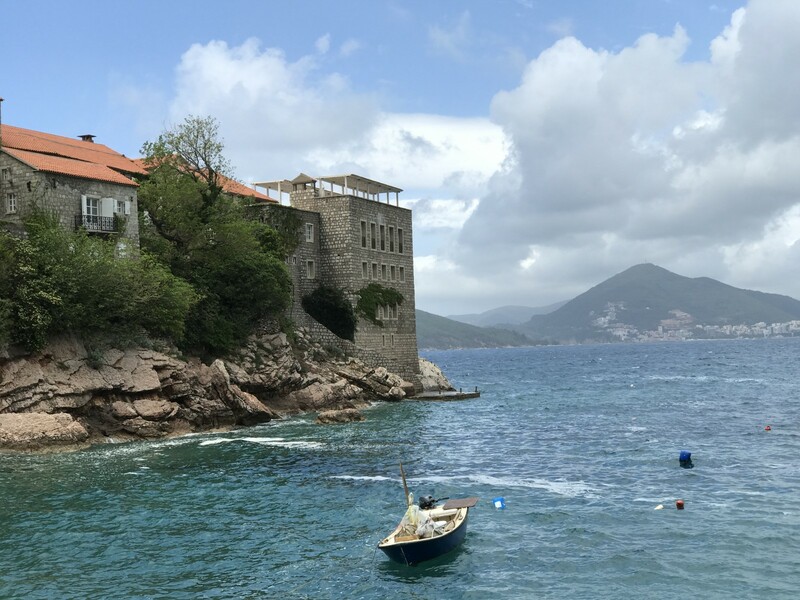 This emerging Balkan destination seems like an unlikely location for an upscale Aman resort, but after spending a few days at the Aman Sveti Stefan, I totally get it. 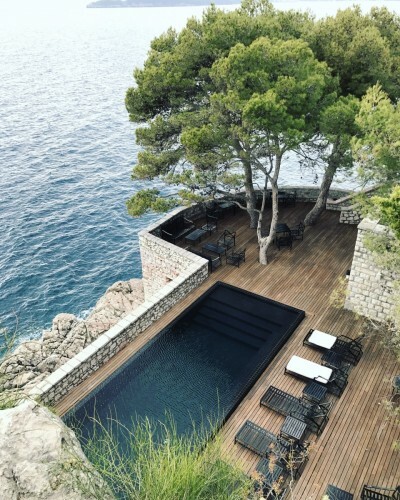 The vibe is chic European Bond villain lair, with the former island resort now connected to the mainland by a narrow narrow isthmus, with an active security detail making sure only guests get to the resort. 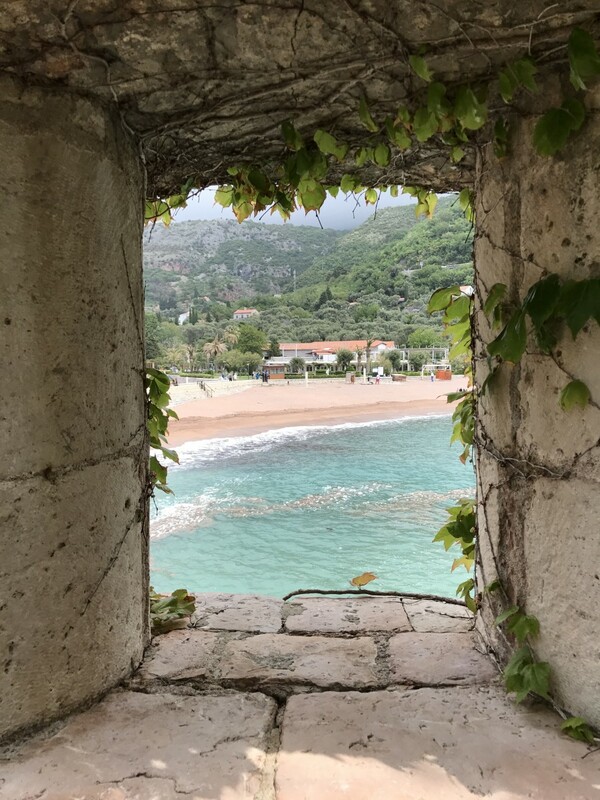 Sveti Stefan’s coastal location has been used as stronghold on the Adriatic coast since the 15th Century. 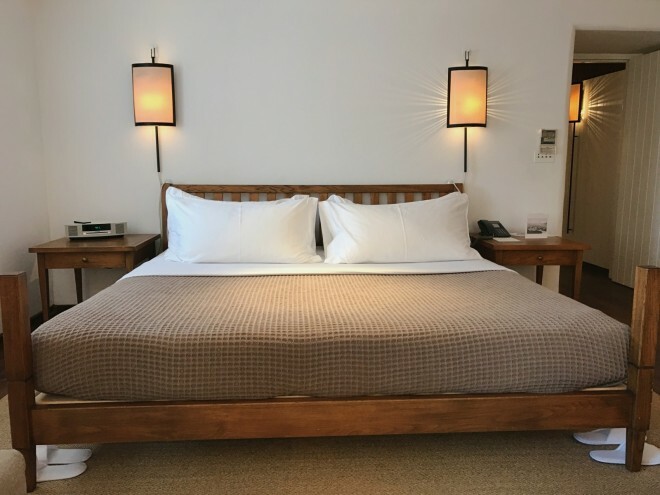 It has a Game of Thrones luxury resort vibe that is highly unique. During the communist era, Sveti Stefan was occupied by the Yugoslavian government and used as a posh resort for guests. In 1972, the hotel received a Golden Apple award for it’s exclusive upscale excellence. 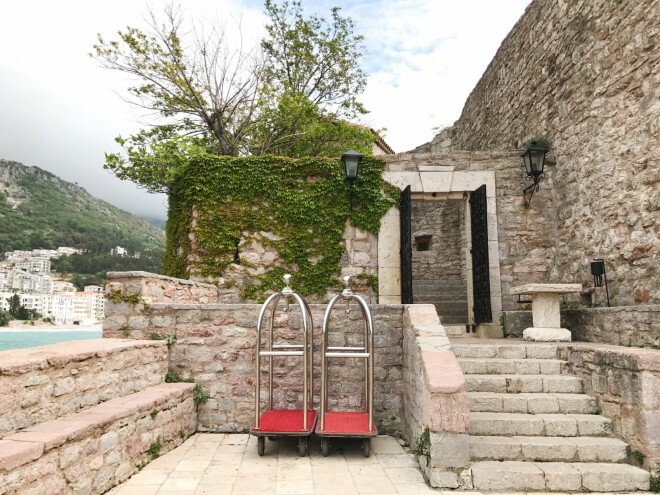 Now, as Montenegro gains traction as a bubbly destination for the European yachting set, the Aman Sveti Stefan is once again very well positioned. 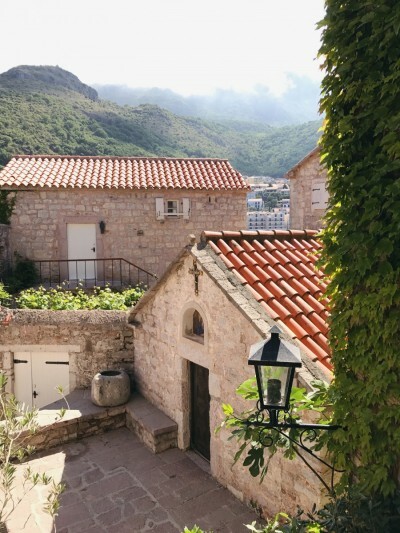 Since Montenegro gained independence it’s Adriatic coast has been an emerging destination. This Balkan country is beautiful. 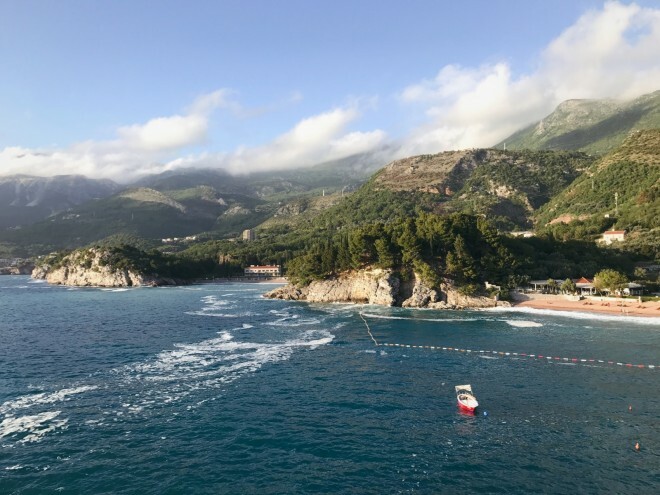 The Adriatic coastline is picturesque and stunning, and is not yet overcrowded. 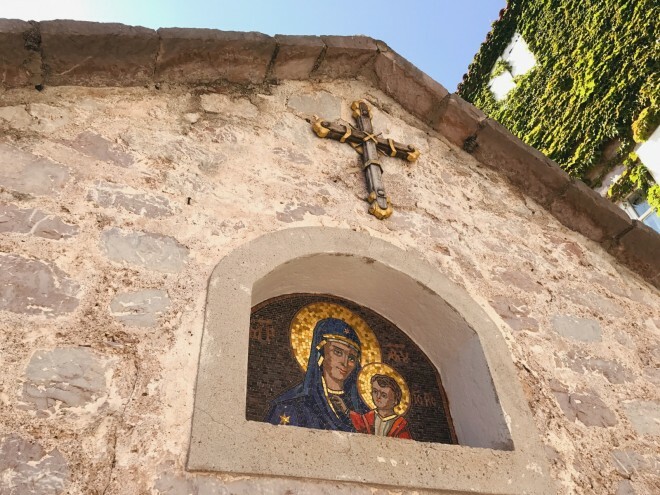 The Aman makeover of this former fishing village has restored the red-tiled roofs to perfection, and magically kept a few small churches intact (including one next to a swimming pool). They’ve even maintained some of the fortress-like elements so it feels as though the resort’s history is incorporated in it’s design. The Aman brand of Zen goes Balkan in a way that keeps it luxe yet understated. But you still feel ancient bones of the resort. The water closet in my room was clearly located in what was once a closet. The stone walls and fortress windows don’t have the cross ventilation you would expect from a new build. 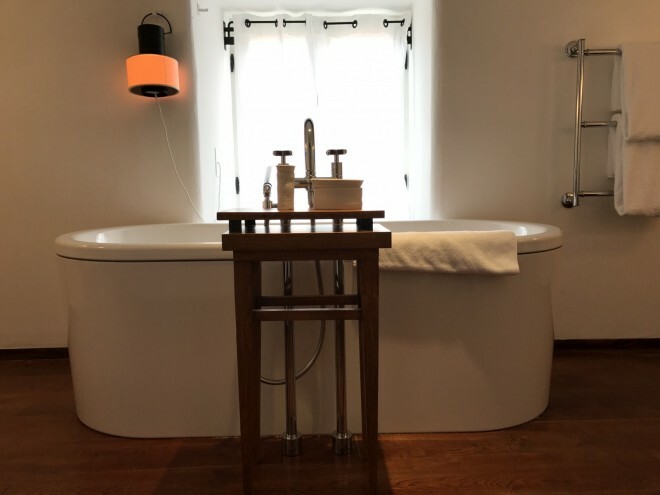 But the curving streets are immaculate and the outdoor dining areas dotted with Olive trees and gorgeous infinity pools with stunning views of the Adriatic. 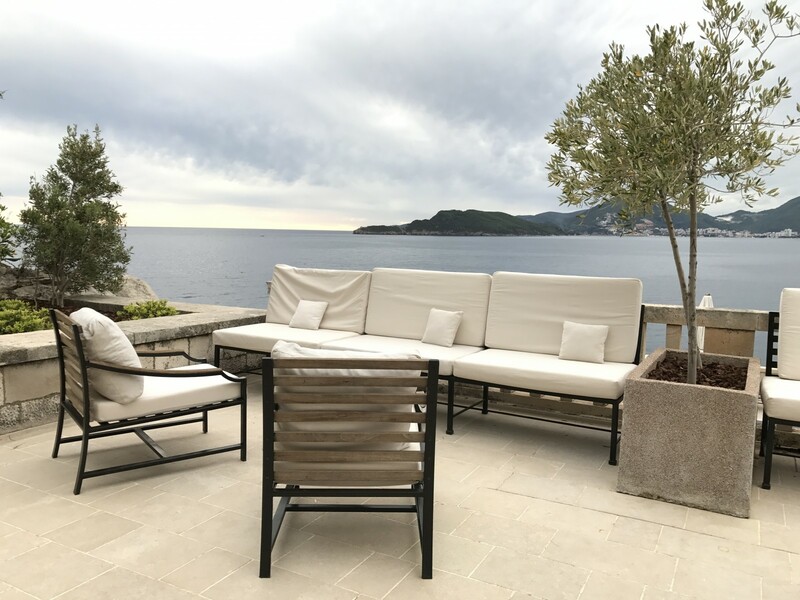 The understated vibe of the Aman Sveti Stefan is a nice counterpoint to the flashy Porto Montenegro, located 33 kilometers away, where the “more is more” asthetic reigns. The closest airport to the resort is Tivat, but that is only going to help you if you’re flying in from Kiev or Moscow. Most guests fly into Podgorica or Dubrovnik, which are are hour and 2 1/2 hour drive away. 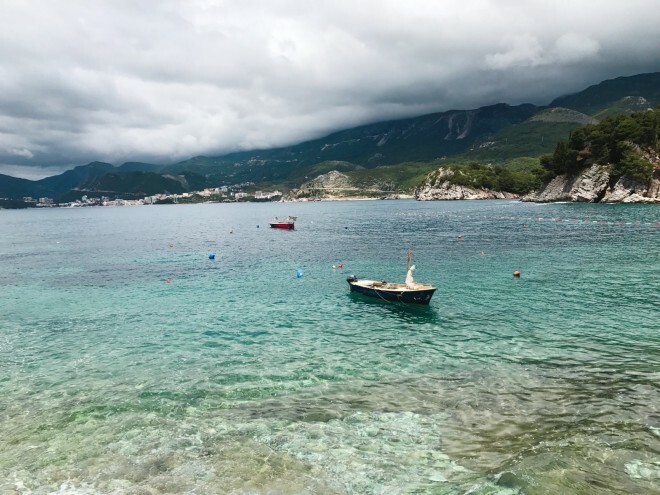 NOTE: The drive from Podogrica to Sveti Stefan is not great for those prone to car sickness. The stretch of road is beautiful but dizzying. I found this drive nauseating, and I am usually unfazed by car travel. Like all Aman resorts, you never feel like Sveti Stefan is crowded. The resort has 58 rooms and is well laid out. There are gorgeous spaces for meals inside and out, a gorgeous spa I did not have time to check out, and some lovely public spaces and courtyards. The service is top notch. 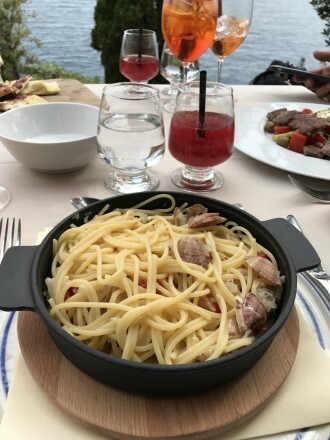 The food… well, there is a reason that Montenegrin cuisine is not yet “a thing.” The Aman’s restaurant was as good as any I tried during my time in Montenegro, but there was not a dish on it that I wanted to order twice. I am just not a fan of the cuisine in this part of the world. It’s vaguely Mediterranean but not and somehow the disconnect is especially jarring for me. 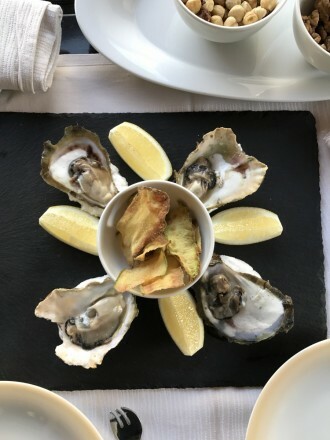 I’ve had similar dining experiences in Croatia and just found the food underwhelming. This could be personal preference, but I did not get this feeling Montenegro is the next big foodie destination. Fortunately cocktails are delicious and the environment lends itself to an Aperol spritz (or three). Yet I am now more intrigued than ever by the Balkans. This is an interesting part of the world with some interesting not-so-ancient history. The new influx of money makes Montenegro kind of fascinating. The resort offers all sorts of interesting experiences (including several by boat). All come with the price tag one usually associates with Aman properties. Boat experiences are weather dependent and ours got cancelled due to rough seas. 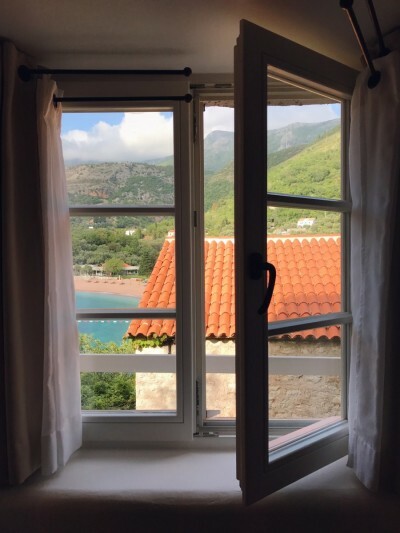 The Aman Sveti Stefan is a great choice for travelers who are interested in exploring the Balkans and want to stay at a highly atmospheric and unique property. It is a logical extension of a trip to Croatia. 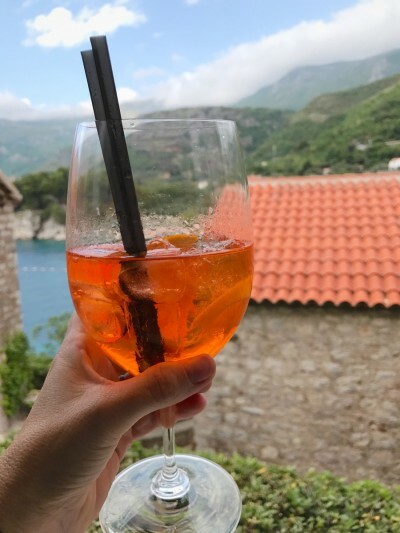 Montenegro is a great place to visit if you’ve already done the coast of France and Italy, but it’s not really a substitute. This destination is best suited for the more adventurous traveler. The scenery is just as stunning but the surrounding vibe still has some post-communist charm. Service outside the resort can be hit or miss. 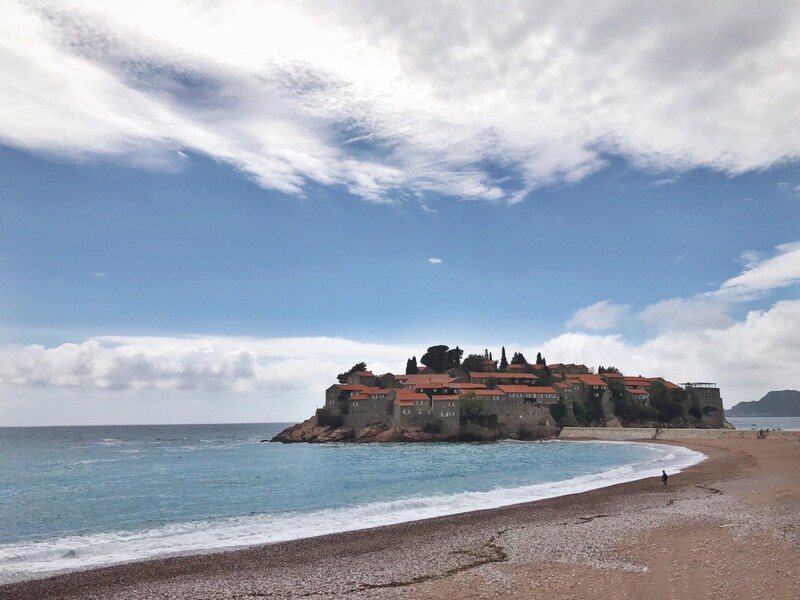 Like all Balkan supermodels, the Aman Sveti Stefan has great bones, and no bad angles. May’s weather was temperamental, and cooler than I would require to lounge at the beach. But Budva had plenty of beachgoers that found the Adriatic warm enough. The resort would be especially appealing during the peak summer months. 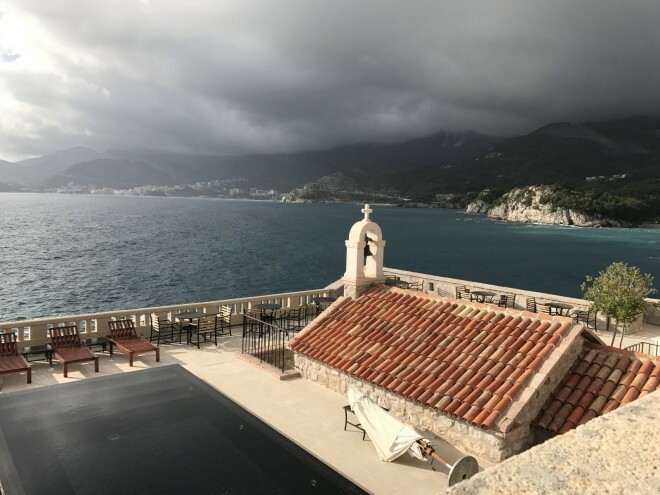 Without doubt, the Aman Sveti Stefan is one of the most atmospheric luxury properties I’ve ever experienced. But I don’t think it’s for everyone. This property is slightly edgier than other Amans I’ve visited… but that is also it’s appeal. It’s unique and isolated and wildly historic. 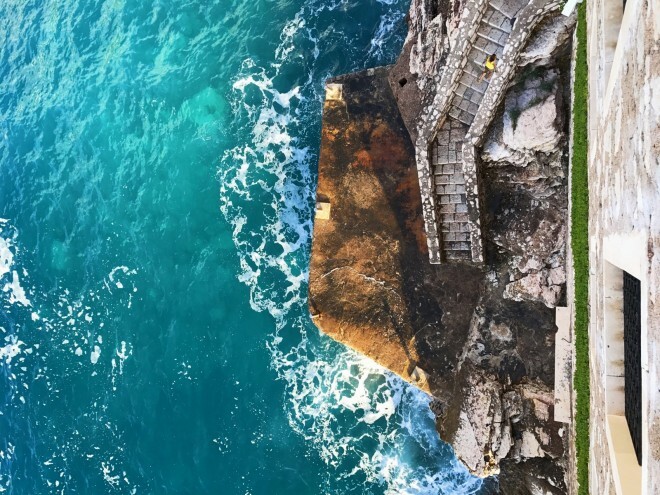 You can’t help but feel like you’re wandering through the streets of King’s Landing as you find your way to dinner. This is the Aman of choice for GOT fans and intrepid travelers looking for someplace a bit different.